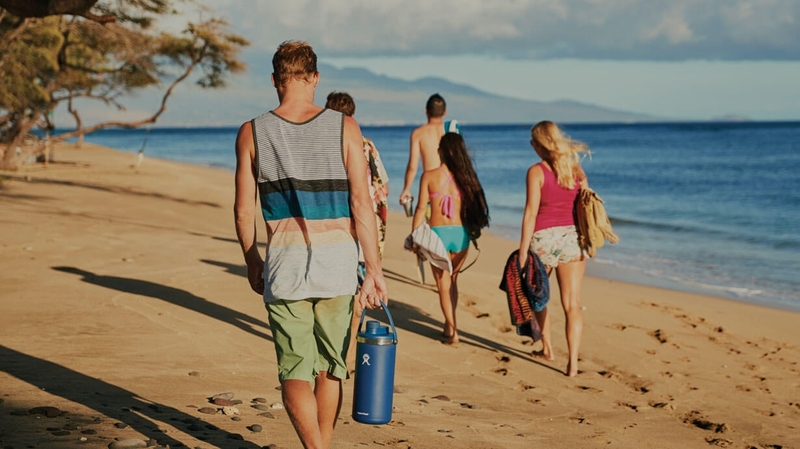 Our 64 oz Oasis is the perfect companion for your next group adventure. Featuring TempShield™ double wall vacuum insulation, your beverage stays cold for 24 hours or hot for 12, whether you choose lemonade, hot chocolate, or enough fresh water for everyone. Because, just like your adventures, refreshment is better when it's shared. 64 oz Oasis is rated 4.5 out of 5 by 2. Rated 5 out of 5 by James Lee from Best big jug on the market. I work in the heat all day and use these jugs to drink cold water all day. I've had the yeti half gallon jug for about a year, and it keeps water cold for plenty long but it sweats a lot and the lid is very difficult to remove. The oasis is about the same in cold holding, however it doesn't sweat. The really great thing about it is that I don't have to wrestle with it to remove the lid! Home run for hydro flask! Rated 4 out of 5 by the_gnome from Great product! But Price Discrepency I bought the 64oz growler in the summertime and I absolutely love it! it goes everywhere with me like my very one child hahaha. I love Hydroflask but don't understand why the new 64oz design is 94.95 when you can get the same volume in the growler for 64.95. I would definitely get this type if it were the same cost as the other 64 oz. We have a beer growler that would allow the beer to stay fresh and carbonated. Those work great-from personal experience. You could put beer in the Oasis, but it has not been tested on how long it would stay carbonated. Do the standard lids fit on the oasis? I would like to use this for my son for sports.